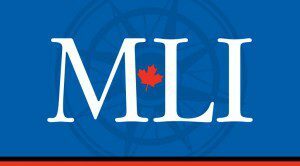 OTTAWA, May 30, 2017 – Canada should begin negotiations for formal participation in ballistic missile defence (BMD) in a manner that suits Canadian interests and the reality of its limited military budget, says a new Macdonald-Laurier Institute commentary. Canada and the United States have a long history of dancing around a possible Canadian role in the US’s BMD for North America. In 2005, this dance appeared to end when then prime minister Paul Martin refused participation in BMD. However, the debate appears to have been re-opened somewhat in recent years – a “welcome and necessary” development for Canada, writes author Eric Fleming. “Since 2005, Canada’s policy has become increasingly at odds with the stances of its allies and partners and the growing threat of intercontinental ballistic missiles (ICBM), thus diminishing Canada’s sovereignty, defence, and influence among key allies”, says Fleming. To read the full commentary, titled “Time To Tango: Embracing Canada’s Participation In Ballistic Missile Defence”, click here. The ground on which Canada’s rejection of BMD participation was based has shifted markedly in recent years, particularly the threat posed by ICBMs and how Canada’s allies have responded. Since 2005, the possibility of an ICBM threat against North America has become a matter of practical concern. States such as North Korea and Iran have advanced their missile capabilities and shared missile and nuclear technology with one another. Not only has the threat changed, but the stance of Canada’s European NATO allies – once at least rhetorically opposed to BMD – has shifted, such that they are now ardent BMD supporters. Since the 2010 Lisbon summit, NATO has officially supported the development and deployment of a multi-layered BMD capability for its forces and territory. “The lack of Canadian participation in BMD also diminishes Canada-US co-operation”, writes Fleming. “Without Canadian participation and assets to contribute to BMD, the United States may choose to create parallel organizations that make NORAD’s aerospace functions redundant”. Fleming recommends Canada: negotiate to formally participate in BMD operations, ideally within the auspices of NORAD, co-operate on research, development, testing and evaluation (RDT&E), and be prepared to offer the use of Canadian territory as an in-kind contribution for radars and sensors. Eric Fleming is currently a candidate for a Master of Arts in International Affairs at NPSIA in Carleton University, specializing in security and defence policy.